The weather has been great for making. 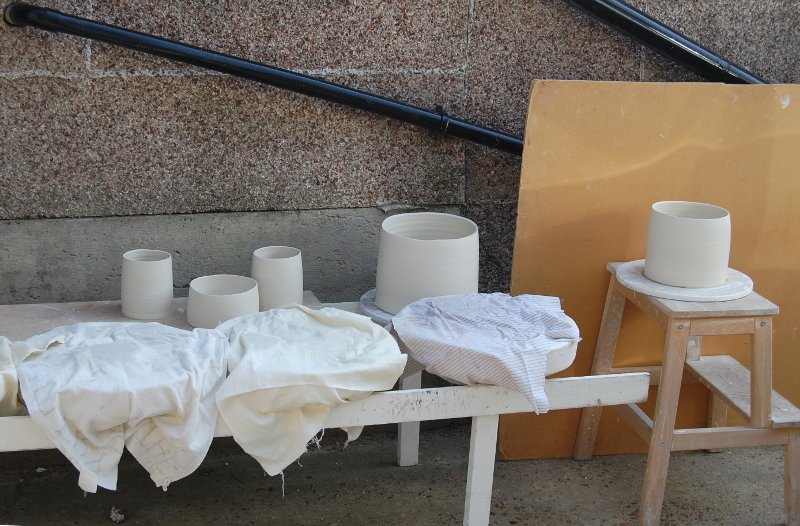 A fresh breeze dries pots in a couple of hours, ready for turning, or adding slip, or writing. 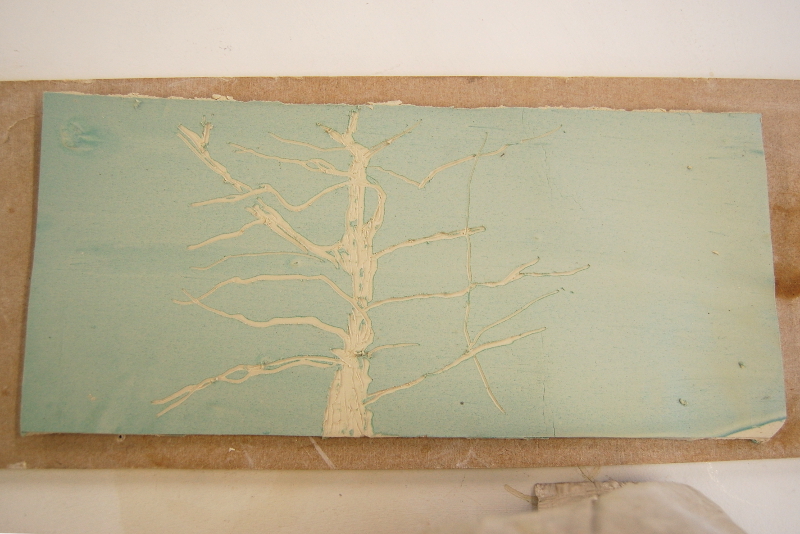 It’s great for drying out reclaimed clay too. I’ve covered mine with cloths, as there’s building work going on around the corner. The thrown pots will be fired next, so any dust will burn off in the kiln. I’m still working on square, flat. 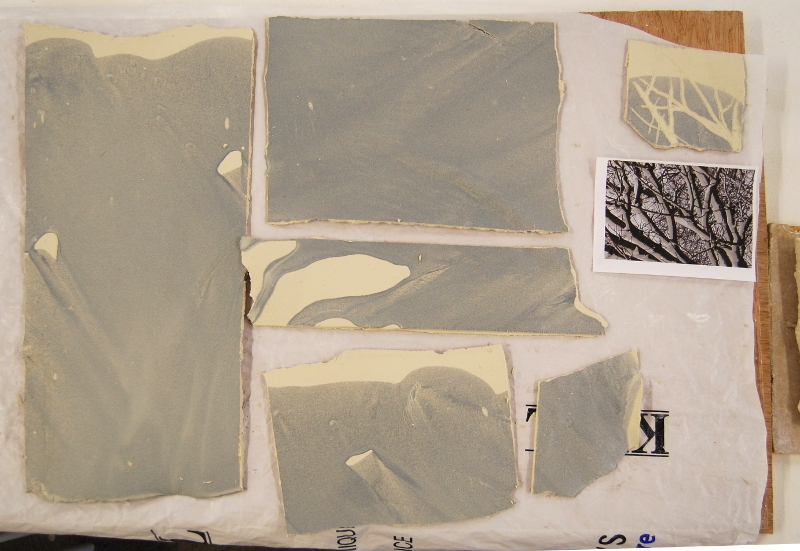 Making the slabs is like making paper: lots of questions about how flat, how square, do I want a deckle edge, and so on. 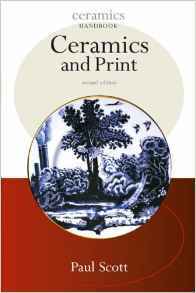 As usual the quirks of the clay – little dents and tips, and faults in the slip coating – turn out to be way more interesting than perfection. For these pieces, I’m using lino cutting techniques – cutting though the coating of slip like I would the lino. The best tool is a bit of old hacksaw blade – the perfect flexibility and sharpness. I’m using some photographs of trees I took in last year’s snow. 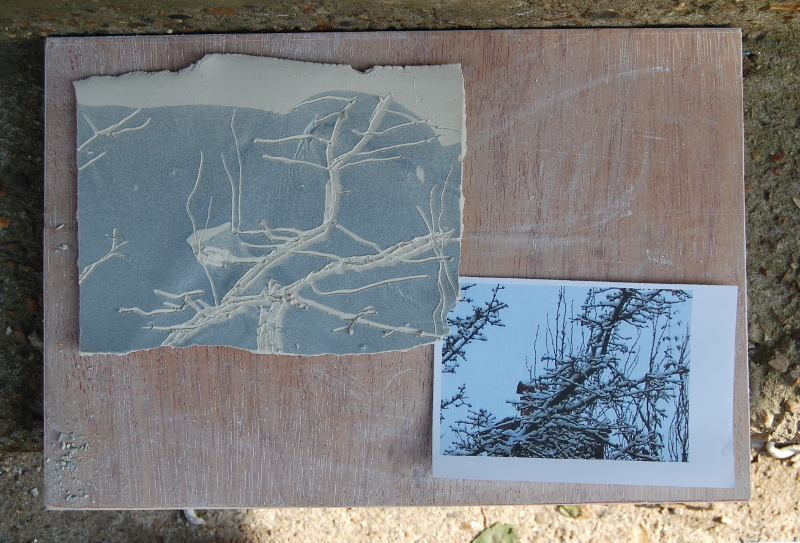 The bad print enhances the graphic quality, ready for copying onto the clay. 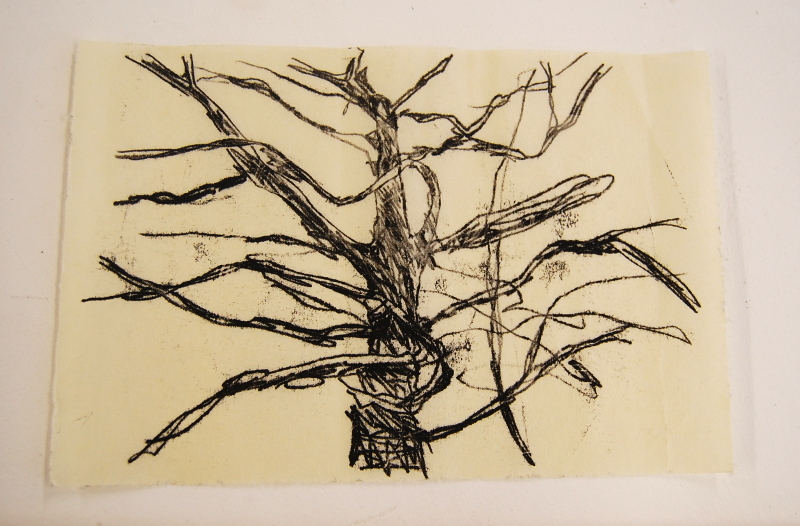 For some pieces I’m using designs which I’ve already visually processed through creating an actual lino-cut: this one, from photo, to lino cut, to monoprint, to clay. There’s something about going from positive-to-negative, and back again, that helps simplify the image to its essentials, somehow.